Pacini himself claimed to have composed over 100 operas and, although modern estimates would be more conservative (since several of the works he listed were revisions, and some of them more strictly oratorios and cantatas than operas), even the most rigorous estimate would put the total at over 70. Giovanni Pacini’s first opera, Annetta e Lucindo, was produced in 1813, the year of Rossini’s Tancredi and L’Italiana in Algeri; his last, Berta, only seven months before his death in 1867, the year of Verdi’s Don Carlos. It is only necessary to compare these titles to realise the enormous changes in musical styles and taste that took place during his fifty-four years of composing. If none of Pacini’s contemporaries wrote over such a long period, it would also be true to say that none of them wrote so much. Pacini himself claimed to have composed over 100 operas and, although modern estimates would be more conservative (since several of the works he listed were revisions, and some of them more strictly oratorios and cantatas than operas), even the most rigorous estimate would put the total at over 70. 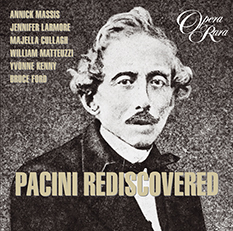 Pacini and Rossini stand together as the two 19th century Italian composers who, above all others, demanded the most exacting standards of bravura singing. Although the quality of his music can be uneven – an off-stage entry for military band or the appearance of the chorus between the movements of an aria always threatens to precipitate the music in the direction of trivial frippery – he was also capable of moments of magical enchantment and most serene and lyrical beauty, illustrated by the extracts from Annetta e Lucindo, Maria regina d’Inghilterra, Allan Cameron and the glorious trio from Alessandro nell’Indie. 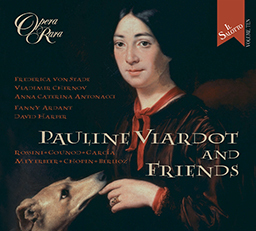 This disc served as a prelude to Opera Rara and the London Philharmonic Orchestra’s studio recording and concert performance of Pacini’s Alessandro nell’Indie at the London Coliseum on Sunday 19th November 2006, marking the first performance of the opera for 175 years, its UK debut and the world première recording. Annick Massis, Jennifer Larmore, Majella Cullagh, William Matteuzzi, Yovnne Kenny, Bruce Ford. 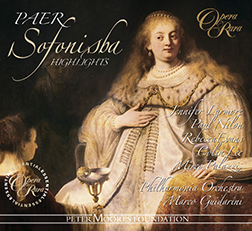 Philharmonia Orchestra, Academy of St Martin in the Fields, Geoffrey Mitchell Choir. Conductors - David Parry and Antonello Allemandi.